I found the task of writing and mailing birthday thank you notes much more pleasurable when the card stock was sealed in a scalloped kraft paper envelope which opened vertically. Every day, 8 years of video content is uploaded onto YouTube. Many of these videos get ridiculously high view counts for reasons I will never understand. Twelve-year-old girls post make-up tutorials that become overnight sensations. You can find a cover of any top 100 song by aspiring artists all over the world who are trying to take the Justin Bieber route to stardom. And the endless database is probably highly congested with videos that will never hit the double-digit mark in viewers. Cider Sky experienced their breakout after their song, "Northern Lights", was featured on the soundtrack of a Twilight film. They just released an EP with two songs that have the same infectious beat the springtime air has this time of year. Make sure to put "Fall" and "We Are in Love" on your spring break playlists. Today's low-70s weather may indicate the passage of winter to spring just like the dawn of day did parties this weekend as SAE hosted their annual party, Resurrection. But, it may seem hasty to throw on flip-flops when your Fryes were your go-to footwear just 48 hours ago. If you too are feeling a little eager beaver like myself, I say turn to the loafer as a transition piece. These slippers are often cozier than run-of-the-mill flats; the tricky part comes in choosing a pair as tassels, graphic art, and a wide range of colors and materials make each pair unique. While in Pittsburgh celebrating my godson and nephew Alexander's baptism last weekend, I got to enjoy several good meals with my family. We went to Point Brugge Café the first night, a cozy neighborhood bistro specializing in Belgian fare. 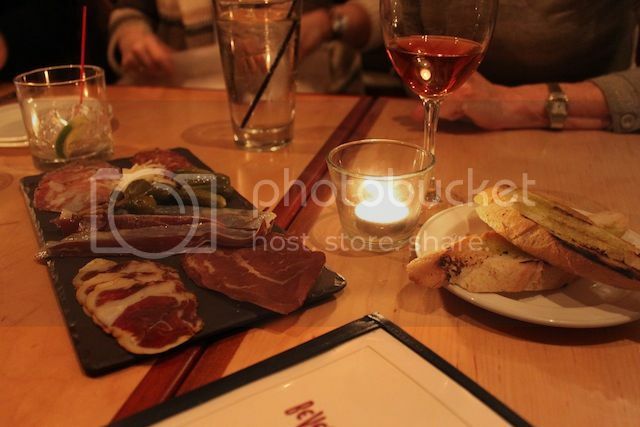 We started with mac'n'cheese and the charcuterie board of cured duck meats. 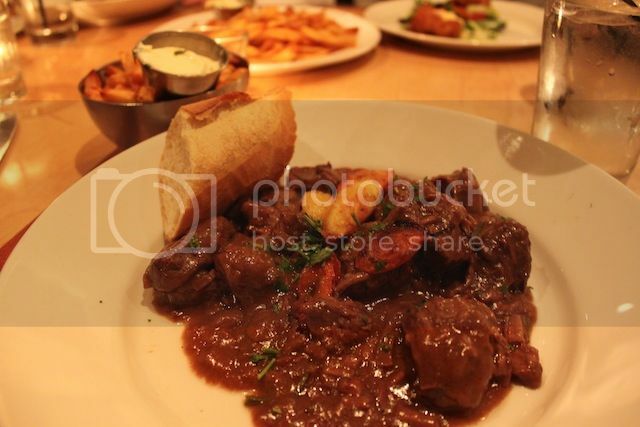 My brother Andy (the godfather) and I both ordered the Carbonnade Flamande--beef braised in Belgian brown ale with onions, apricots, cherries and rosemary. Our pre-baptism brunch was at Casbah the following morning, a favorite or Pittsburghians Art and Carolyn. Everyone chose a starter and an entrée off the Sunday brunch menu, which granted me the opportunity to have both savory and sweet (the ultimate breakfast decision dilemma!). 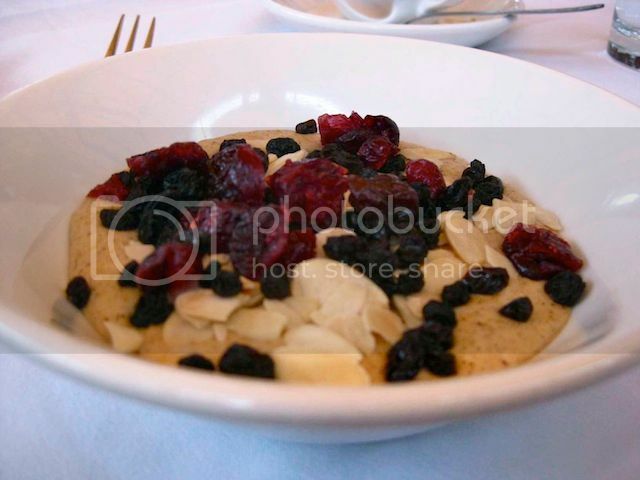 My sweet start was a sinful delight of creamy polenta with Paul Bunyan maple sugar and cinnamon, dried fruit and toasted almonds. It was the perfect h'ors d'oeuvre to my eggs benedict florentine that followed. On with the countdown to spring break!